The development of health services both locally and nationally, can best be traced by looking at the modern development of hospitals in Limerick. The modern Irish hospital building is perhaps the most representative of the contemporary styles of architecture in the twentieth century, along with the associated philosophical and psychological issues that dictate how this building should be designed and used. The modern hospital, as a building, can be described as a gesmtkunstwerk, all the aspects of which- the function, the technology and the aesthetics- aim to promote the well-being and recuperation of the patients. Rapidly changing innovations in acute medical care, out-patient care and hospital machinery instruct the design considerations. Emerging theories demanded that the modern hospital not only had to be a high performance, functioning institution treating the human body but it had to be an environment conducive to rest and holistic treatment. From the late nineteenth and until 1947, the cost of the public health services was borne almost entirely by local authorities who derived their funding from local ratepayers. The government was not prepared to come to the aid of the hospitals by increasing the level of parliamentary grants last fixed in the 1850s. 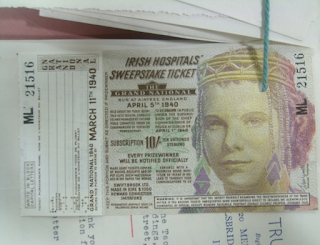 This most notable field of architectural activity during the early years of Irish Independence was stimulated by the establishing of the Hospital Sweepstakes in 1930, originally intended to raise funds for some voluntary hospitals in Dublin, but soon expanding to become the prime source of finance for a comprehensive hospital-building campaign throughout the state. Announcing the commencement of this campaign, the then Minister for Local Government and Public Health, Seán T. O’Kelly praised the work of Alvar Aalto stating that he hoped similar talent would emerge in Ireland. Even the Hospital Sweepstakes building (Robinson Keefe, 1937) could itself be seen as an analogy for this drive as it too was a work of modernism with a long low front elevation with a glazed tower at one end. Prior to the advent of the Sweepstakes no public hospital building of any significance had been undertaken since 1904. 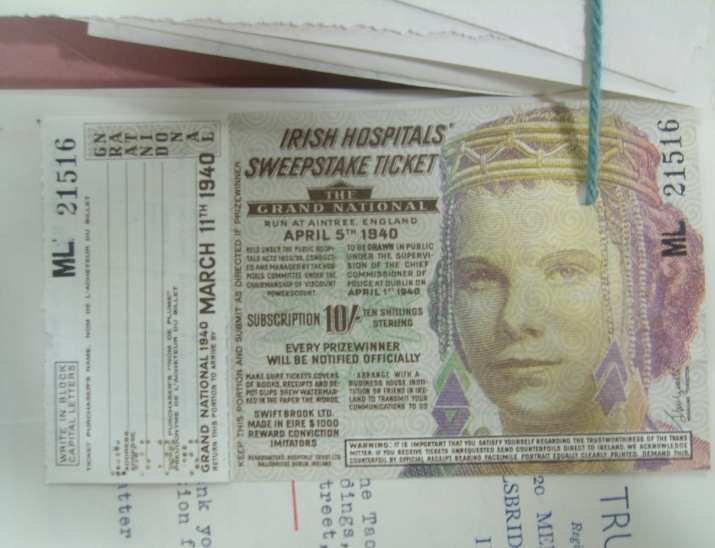 Throughout the thirties Ireland became internationally known for its sweepstakes and received world press coverage, both good and bad. It was illegal in the United States, Canada and the United Kingdom though the majority if tickets continued to be sold there. Vincent Kelly, as architect member of the Committee of Reference set up by the Free State government in 1933 to advise on the allocation of the Hospital Sweepstakes funds undertook an extensive tour to make a detailed study of modern developments in the design, equipment and administration of hospitals in various countries all over Europe including France, Switzerland, Germany, Czechoslovakia, Austria, Belgium and Holland. He inspected over sixty hospitals during a period of almost three months. On his return, Kelly not only contributed his findings to official published reports, and some lectures and articles (AAI lecture ‘A tour of Continental Hospitals’ 20 February 1934), but also given responsibility for several hospitals commissions himself. These included Nenagh General Hospital, Co. Tipperary (1933-36), Naas Fever Hospital, Co. Kildare (1933-39), the County Hospital at Cashel, Co. Tipperary (1933-37), all exhibiting the flat-roofed and white-walled cubic forms of modern architecture, finished with sun balconies and projecting concrete canopies. Pádraig O’Morain, The health of the nation; the Irish healthcare system 1957-2007 (Dublin, 2007), p.134. Ruth Barrington, Health medicine & politics in Ireland 1900-1970, (Dublin, 1987), p.109. Thomas Murphy, ‘Ireland’s Hospitals’, Medical Care, 2:2 (1964), p.126. Frederick O’Dwyer, Irish Hospital Architecture; a pictorial history (Dublin, 1997), p.18. D.P. Moron, The Philosophy of Irish Ireland, reprint 2006 (Dublin, 1905), p.45. No.4/1945 Irish Statute Book. Office of the Attorney General. Great blog as always - just one correction. 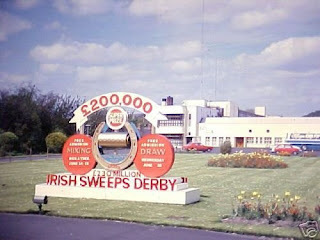 The AIB Centre is not built on the Sweepstakes site but on the site of the RDS Sales Paddocks, operated for many years by Goffs. The sale by the RDS of the grounds led Goffs to relocate to Kildare in the mid-1970s. The Sweepstakes site was redeveloped later (late 1980s – early 1990s), and is now occupied by office buildings and an apartment complex called, funnily enough, The Sweepstakes.